Sony Ericssson yesterday announced Yendo, a Walkman phone with full touch screen. The Sony Ericsson Yendo was announced along with Sony Ericsson Xperia X8. The device has an exterior design similar to Sony Ericsson Xperia X10 mini. However, Yendo uses a special Sony Ericsson OS with support for Java based application. The common feature of Sony Ericsson Walkman phones, like Walkman music player, TrackID music recognition, SenseMe, shake control is also available with Yendo Walkman phone. Sony Ericsson Yendo is basically a low cost touch input music phone, and it supports only 2G networks. Sony Ericsson Yendo has a catchy external appearance. The device is available in combination of black and nine different colors, Blue, Green, Orange, Pink, Purple, Red, Silver, White and Yellow. The 2.6 Touch display resistive touch display in Yendo has 240 x 320 resolution and 256K color support. Yendo has only a 2MP basic camera that also supports video recording. There is 5MB internal memory and 156 MHz processor. Storage is expandable up to 16GB using MicroSD slot. 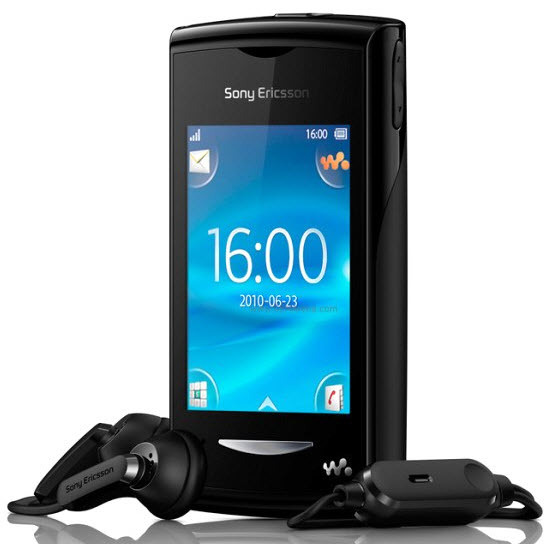 Other features of Sony Ericsson Yendo Walkman phone include 3.5 mm headphone jack, Bluetooth with A2DP, Twitter-Facebook apps, etc. The Sony Ericsson Yendo is a very basic touch screen model as you can read from its specification. They haven’t announced the price yet, but we think it won’t go beyond 9000 INR if launched in India. it is good looking phone in walkman series so far as also in touch screen phones over all.